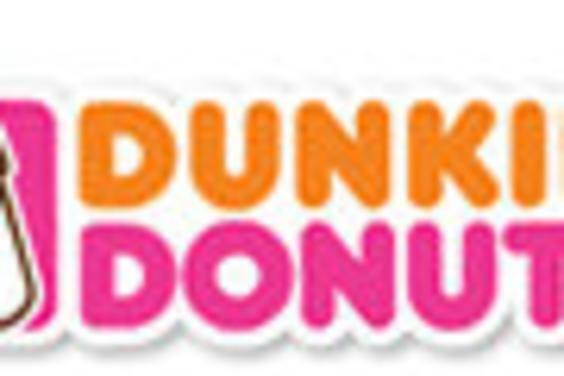 Dunkin’ Donuts is America's favorite everyday, all-day stop for coffee and baked goods, including delicious breakfast options. The menu offers great tasting products that will get you going and keep you running throughout your busy day. Made to order just the way you like. Great tasting hot and iced coffee. Made-to-order oven-toasted flatbread sandwiches available in six flavors: grilled cheese; turkey, bacon & cheddar, ham & Swiss, Southwest chicken, egg-white Turkey Sausage and egg-white veggie. An array of oven-toasted breakfast sandwiches to ensure fluffier eggs, crisper bacon and toasted breads. Warm baked goods including a variety of freshly made muffins, croissants and gourmet cookies.